Undead Nightmare is an obviously non-canon, zombie themed spin-off to Rockstar Games’ critically acclaimed open-world western, Red Dead Redemption. Released as DLC for the vanilla game close to Halloween of 2010, it takes place right before Redemption’s original ending in which the story veers off into an alternate timeline kicked off by an impromptu rise of the living dead. 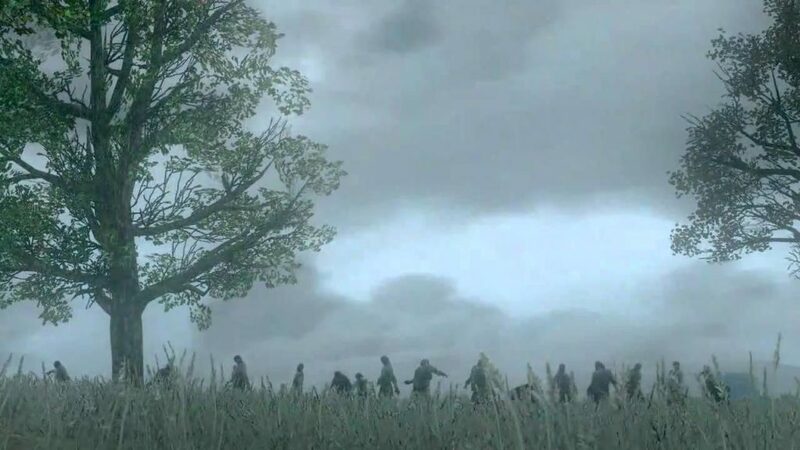 Despite enjoying the gameplay, it’s this supernatural deviation that left me disappointed with Undead Nightmare eight years ago. While Red Dead Redemption has its fair share of humorous and unrealistic moments, it’s nowhere near as outwardly campy as its predecessor, Red Dead Revolver. Redemption is for the most part grounded in a reality we can relate to, whether it’s the awe-inspiring landscapes of the Wild West or America’s transformation from an unruly land into something resembling the country we see today. For lack of a better term, I, and others like myself, bonded with John Marston and the world he lives in, all as a result of Rockstar San Diego’s brilliant efforts in making just that possible. Marston’s world is very much a “video game,” but embedded in it are nuggets of atmospheric storytelling via the imagined distances you can ride through on horseback, or the folks that come to be part of his journey one way or another, from major players to strangers to play poker against. It wasn’t that Redemption broke some new ground, but that it treated itself with more respect than just a “Western GTA.” It committed to the themes of the romantic Western film genre, even when telling it through critically revisionist eyes. Undead Nightmare, to me, at one point seemed to defile all of that work in an immature manner, devolving Red Dead back into just a simple video game. What’s worse is the disposable treatment of established characters from the main game. Most are reduced to zombification in cheap attempts at shock horror, with even the most important and revered people integral to Marston’s tale written off as comically dead, or worse. Undead Nightmare is the Red Dead equivalent of The Simpsons “Treehouse of Horror” Halloween specials, where the show’s (initially) more grounded, family-oriented humor is discarded for anthological dark comedy and horror tales that use the show’s characters as mere throwaway actors. The major difference here is that while The Simpsons is a continuous, ever-changing, and evolving comedy show, Redemption’s story is more of a one-and-done, solitary event — one that’s supposed to be taken seriously when all is said and done. As time has passed, however, I’ve come to appreciate Undead Nightmare, mostly for the very reasons I disliked it upon release. Wholly self-aware in its goofiness, Undead Nightmare revels in taking something precious and turning it into a pointless creature feature. While being self-aware doesn’t solve the aforementioned problems, it brings with it a kind of intentional jest. The smearing of an established bond a player might have had with the game and its characters, as well as its devolution into a holy water-slinging post-apocalyptic setting, is a testament to the art of the medium itself. Whether this was intentional by the developer is irrelevant. Plus, the core gameplay of Redemption is still there, and as a result, Nightmare is a whole hell of a lot fun to play. 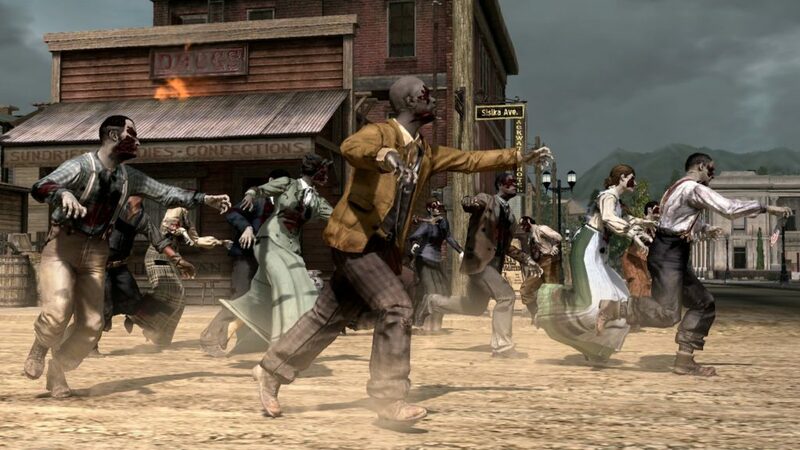 There aren’t that many games that combine B-movie zombie horror with an accurate Wild West setting, and the addition of survival elements given the collapse of economy (i.e. bullets as currency) is something I’d like to see explored more in other games of the genre. Combine this with a corrupted, evil take on the original OST, convert once-beautiful scenery into a landscape now teeming with legions of zombies and other creatures, and it’s an insight into what Rockstar could accomplish within the genre if this wasn’t just a $10 DLC campaign, but a full-fledged, high-budget IP instead. Undead Nightmare is an interesting experiment that perhaps might seem dated today — given the vast array of off-kilter DLC for games that has become norm since then — but it ran with the zombie craze in an entirely new fashion by placing itself within arguably one of the most significant stories in video game history at the time. 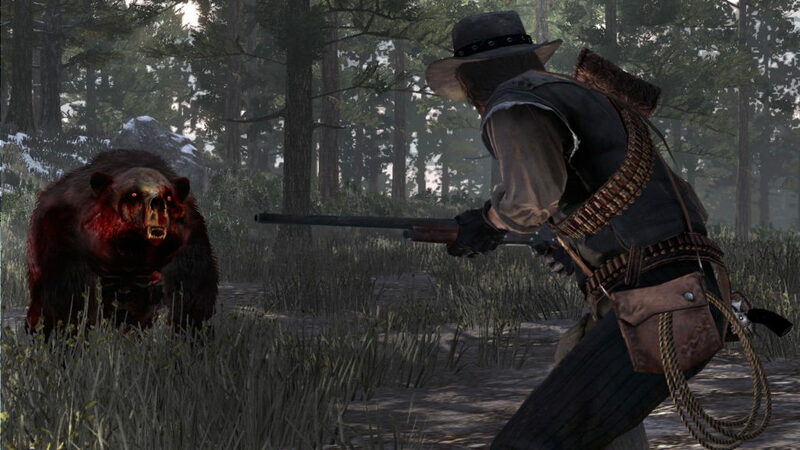 There’s a part of me that still dislikes aspects of it, but at the same time, I’m more than happy to have had Undead Nightmare be the cathartic send-off to an amazing game that was able to accomplish so much despite its troubled development, with the team verging on being made redundant, as it eventually was. The DLC’s success, I learned, is not a blemish on the work achieved with Redemption, but rather a compliment that shows the possibilities of what can be done as both a deconstruction and a celebration.